Keeping up with everything going on at Roedean. 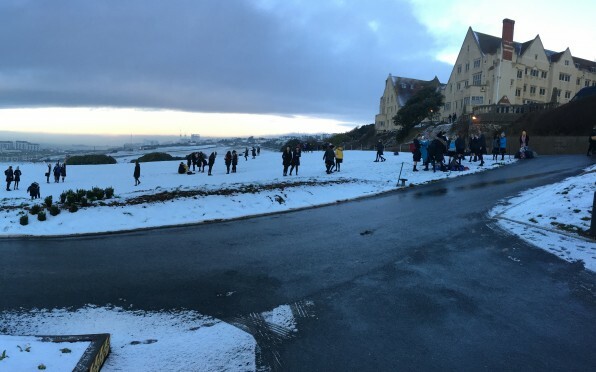 Snow arrived at Roedean at the end of last week, and the School really did look beautiful. 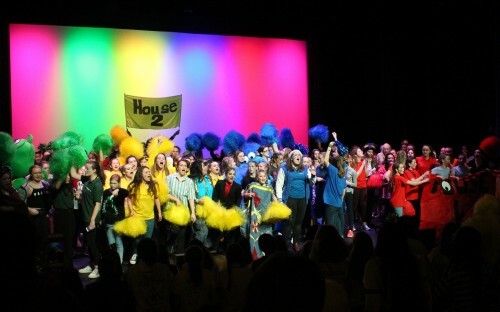 On Friday 25 January, the School hosted 24 schools for the annual Southern Schools’ Book Awards presentation evening. Chaired by last year’s winner, author Lisa Heathfield, the event celebrated this year’s five shortlisted authors and culminated in the announcement of the winner: Will Hill’s After the Fire. We are incredibly proud to announce that the girls’ GCSE results from last academic year place Roedean as the highest performing school in the area in one category of the recently published Department for Education comparison tables. The School is ranked first in the area for the English Baccalaureate, with a score of 8.5. We are also proud of the recent dance achievements of India and Amelie H in Year 7 and 10 – who both competed at the Essex Street Dance Championships on 27 January. India won two Top 5 trophies in Under 14 Advanced Solos and Duos, and India’s older sister, Amelie, won the Sussex Under 16 Advanced Solo category. Amelie and India’s successes in the most recent championships mean that they have both qualified to represent England this summer in the World Dance Championships. What an amazing achievement. In other news, last Monday Roedean String players took part in a fantastic masterclass with Cellist extraordinaire Zoë Martlew. Zoë was delighted to work with a range of students from Years 7-13, who performed on the cello, violin, and guitar. Some of the students performed in a teatime recital at the end of the day and they are to be congratulated on playing to such a remarkably high standard. And finally, the 'Sylvia the Snail' raffle prize winner has been announced, congratulations current girl Alice! Winner of Vogue Talents 2014 and named by Harpers Bazaar UK as the 'jewellery designer you need to know now'. Page generated in 0.2783 seconds.